In 1994, Volvo and Tom Walkinshaw Racing took the motorsport scene by surprise when it joined the British Touring Car Championship (BTCC) with a race car based on the Volvo 850 wagon. Although it didn’t win any races, it performed well and went into the history books as the first wagon to join the series. Ten years later, Honda brought the wagon body style back into the sport by prepping a Civic Tourer. The compact grocery getter won four races and scored another 13 podiums. The Japanese retired the wagon after just one season, but, for 2016, the body style return to BTCC in the form of a Subaru Levorg Sports Tourer. The sole wagon to take part in this year’s competition will be run by Team BMR, which switched to Subaru after using a race-spec version of the Volkswagen CC in 2015. If you’re not familiar with the Levorg, it’s a midsize wagon developed specifically for the Japanese and European markets. It shares its platform with the more familiar Impreza and Legacy. Team BMR will join the fight as a constructor team and will bring Subaru as a new manufacturer to BTCC. 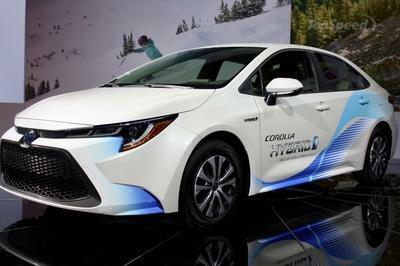 The newly formed team will go head to head with three other automakers - Honda, MG, and BMW. Team BMR and Subaru have signed a three-year partnership and will enter a four-driver lineup in 2016, including BTCC favorites Jason Plato and Colin Turkington. "I am extremely delighted that BMR are to become a manufacturer team in only our 4th year of competing in the BTCC, I have had aspirations of becoming a race winning team with factory support from the very beginning and I am immensely proud of the team for giving Subaru the confidence in partnering BMR," said team principal Warren Scott. Continue reading to learn more about the 2016 Subaru Levorg BTCC. Subaru released just one photo of the race car as of this writing, but it’s enough to get an idea about what we’ll be seeing on the track. While the BTCC-spec wagon retains the overall shape of the production car, almost every body panel was redesigned in order to improve aerodynamics and meet technical regulations. Much like any other vehicle competing in the series, the Levorg BTCC is a beefed-up version of the stock wagon, enhanced by a revised front bumper with a large splitter, a vented engine hood, significantly wider fenders, protruding side skirts with rectangular exhaust pipes, a race-spec rear diffuser, and a massive wing on the tailgate. Naturally, the wagon rides on lightweight wheels wrapped in competition Dunlop rubber. Boy, I wish Subaru would offer a high-performance, road-going Levorg with a body kit similar to this one. There are no photos of the interior, but based on BTCC regulations, the cockpit has very little in common with the road-going model. Aside for the plastic piece that mimics the standard car’s dashboard for regulation purposes, this wagon is a full-fledged race car and should feature an Alcantara-wrapped, multi-function steering wheel and an FIA-approved, carbon-fiber seat. A custom instrument cluster that provides all the necessary information while out on the track replaces the standard unit. Naturally, the cockpit was built inside a full roll cage to protect the driver in the event of a crash. Motivation for this fast looking wagon comes from a turbocharged, 2.0-liter four-cylinder engine developed by Mountune, a company known for its race engines, for helping create the new Ford GT, and for offering performance upgrades for the Focus and Fiesta. As usual, there are no performance specs to run by, but it’s safe to assume that the powerplant sends at least 350 horsepower and 300 pound-feet of torque to the pavement. Another important change underneath is the conversion from all-wheel to rear-wheel drive, since the BTCC doesn’t allow AWD systems. 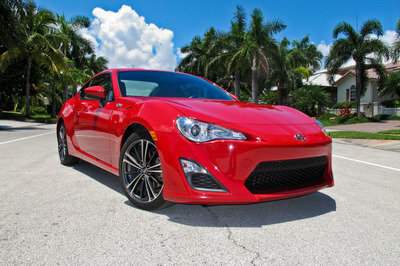 An unnamed race-spec transmission routes the power to the rear wheels. As a constructor, BMR and Subaru will compete against Honda, MG, and BMW. For 2016, the Honda (Yuasa Racing) and its race ready Civic Type R is the team to beat. The Japanese won the 2015 season by a comfortable margin, scoring seven wins and 11 podiums in 30 rounds. Honda will try to defend its title with a revised version of the Civic Type R and with Gordon Shedden and Matt Neal as main drivers. 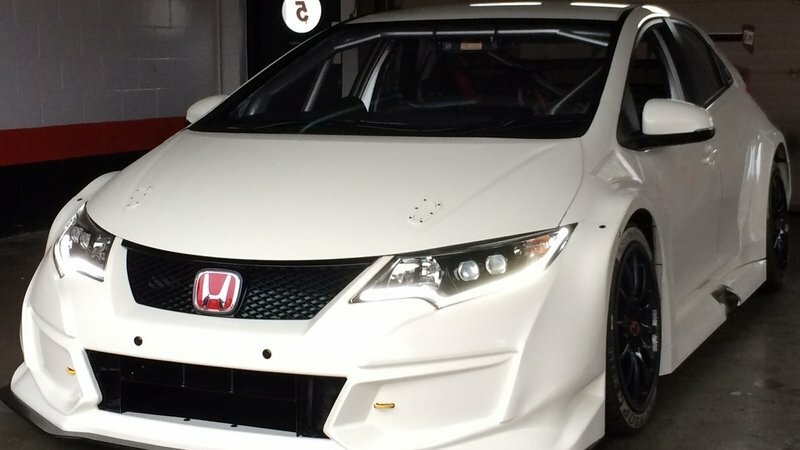 Find out more about the Honda Civic Type R BTCC here. Having scored only one win and eight podiums in 2015, MG (Triple Eight Racing) returns in 2016 with hopes of winning its second title after the successful 2014 season. The British firm joined BTCC in 2012, and won the championship after just three years of competition, breaking Honda’s four-year reign. Last year didn’t go as planned, and even though it finished second in the manufacturers’ championship, MG had less wins than initially predicted. Needless to say, 2016 can only be an improvement for the MG6 GT. With Honda, MG and BMW having already confirmed their places in the 2016 BTCC season, Subaru will have a difficult mission as a beginner, especially with so many independent entries completing what seems to be a crowded 11-team grid. However, with a solid Mountune engine under the hood and with experienced drivers such as Jason Plato and Colin Turkington (who have four BTCC titles between them), BMR and Subaru should put up a good fight and make the 2016 season a lot more interesting. I don’t know about you, but I’m really excited to see yet another wagon driven in anger at Brands Hatch and Silverstone. Team BMR will carry the Subaru badge as it enters as a constructor team for the 2016 Dunlop MSA British Touring Car Championship. 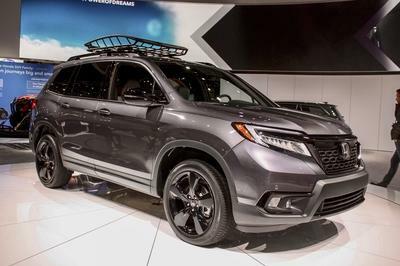 Team BMR will join the fight for the Constructor’s title this year, while bringing in Subaru as a new manufacturer to go head to head with Honda, MG and BMW. 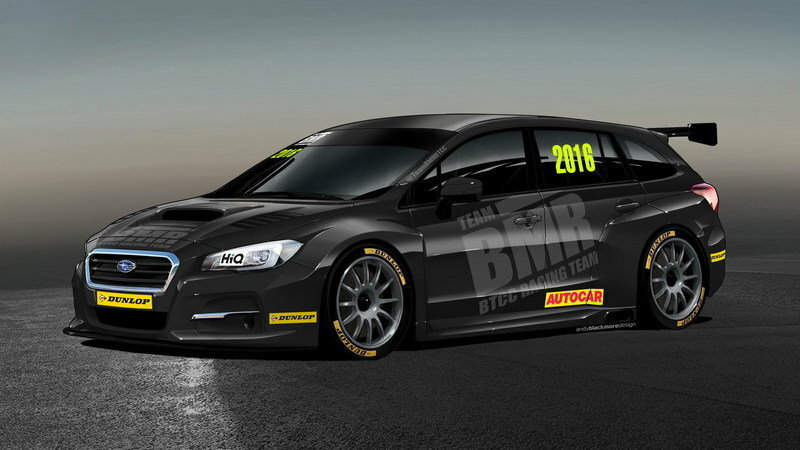 Team BMR will be switching to the new Subaru Levorg Sports Tourer for the 2016 BTCC season and will be developing the car and engine, supported by the global resources of Subaru and Subaru UK. For Subaru it will be their first step into The British Touring Car Championship with current plans to team with BMR for a three year term. BMR will be entering a 4 driver line-up, including BTCC favourites Jason Plato and Colin Turkington. With the start of the season just two months away the team are working flat out to get the cars built and ready in time for testing to commence in the next few weeks. 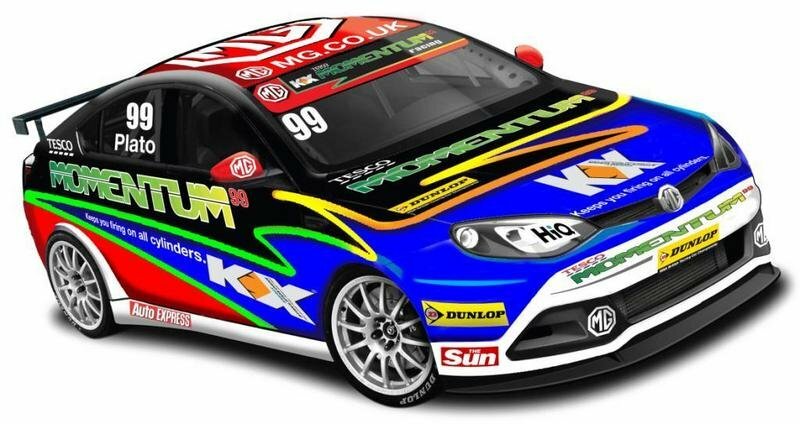 The official reveal will be during the official BTCC Media Day at Donington Park on Tuesday 22nd March, ahead of its race debut at Brands Hatch for the first round of the Dunlop MSA British Touring Car Championship on the 2nd and 3rd April. The road going Levorg GT uses the renowned Subaru Symmetrical All-wheel drive system and is powered by an all new 1.6T direct injection engine. Prices start at £27,495 on the road.